This formal accessory is sure to impress! 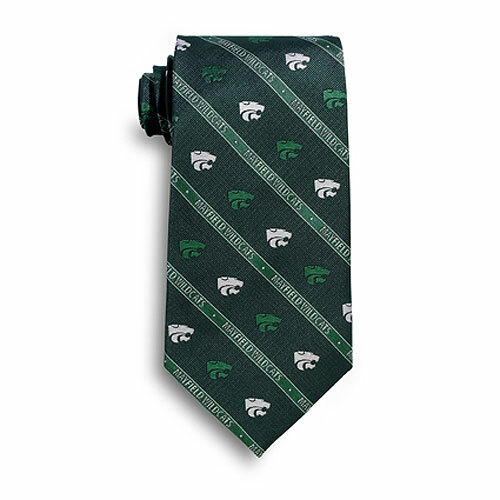 These silk ties are perfect for uniforms, gifts or incentives. Create a unique and lasting impression with an all over or single spot custom design. Pre-dyed threads are woven to create a design as part of the fabric. Add a coordinating ladies custom scarf for a complete uniform look. Artwork in up to 6 colors, a pre-production sample and set-up is included with your completed order. Tie this promotional item into your upcoming campaign! Custom designed tie. 58" standard length. Complimentary artwork up to 8 colors, pre-production sample and set-up included. 50 piece minimum. Quantity discounts available.